Project H.O.P.E — The People's Paper & Make A Scene! Did you know, per capita, Alaska is the highest in opioid overdose-related deaths in the nation? (www.epi.alaska.gov). These epidemic numbers are the reason our governor declared a state of emergency in 2017, which led to Project H.O.P.E emerging. The purpose of Project H.O.P.E is to use secondary prevention tools to stop unnecessary deaths from occurring and prevent unused prescription medication from falling in to the hands of individuals who do not hold prescriptions. 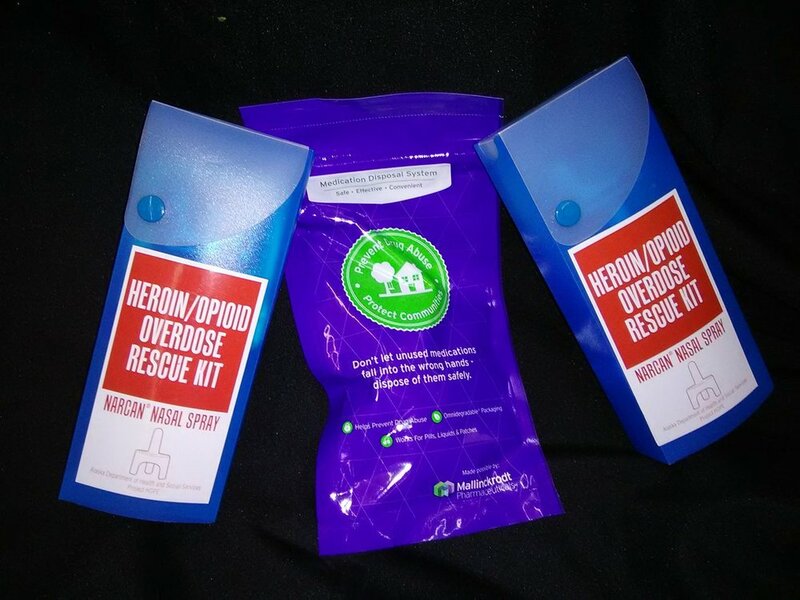 Our first approach is distributing Narcan kits to emergency services and community members who have direct contact with individuals who may be at risk of experiencing an opioid overdose. This tactic prevents the individual from dying of an overdose and provides an opportunity for a community or family member to interject at this crucial time and provide treatment and detox options. Due to the fact that our community only has two drug-take-backs a year and no infirmary, the opportunity to dispose of unused medication is slim. Which leads us to our second prevention method: the distribution of drug disposal bags which prevents medications from getting into the wrong hands. This tool is an omnidegradable bag filled with a charcoal activated substance that, when mixed with water, absorbs the medication’s active ingredients, deeming the medication harmless in a matter of minutes. If you are interested in obtaining a Narcan kit or a drug disposal bag, our next community training will be held at the Gathering Grounds Cafe (300 N Willow St. Wasilla) on October 3rd from 6:00pm to 6:30pm. This event is free and each individual will receive one Narcan kit at the end of the training. We invite all community members to attend our Opioid Task Force meeting directly after the training to discuss how to improve our community and to hear from our guest speakers. The Task Force meeting will be held from 7:00pm to 9:00pm at the Wasilla High School Theater. Please feel free to contact Brandi with any questions you may have at brandikinney@myhousematsu.org or 907-373-4357.